Click the link below to check on how the club members are doing. David Backo Class of 2003. 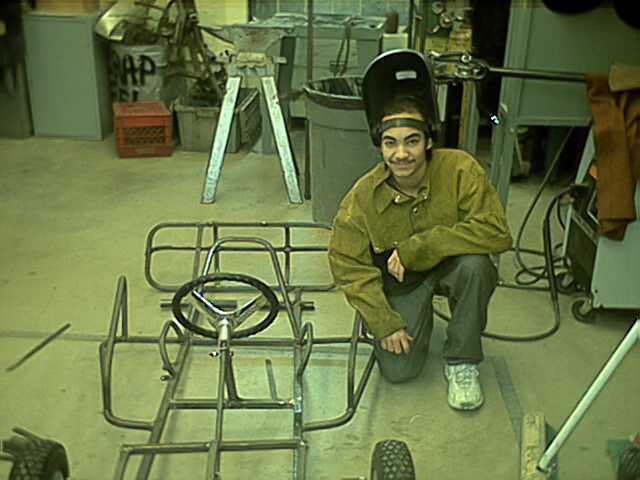 The high school go-kart building and racing program was originally developed as an attempt to get and keep inner city students who were "at risk" of dropping out of high school, interested in a unique school related activity, so that they might stay in school and graduate. The program was first started in 1989 at David B. Oliver High School in Pittsburgh. Seed money to start the club came from the Anne E. Casey Foundation. In the first year, 12 karts were completed and and took the green flag at Blanket Hill Speedway in Kittanning, Pennsylvania. 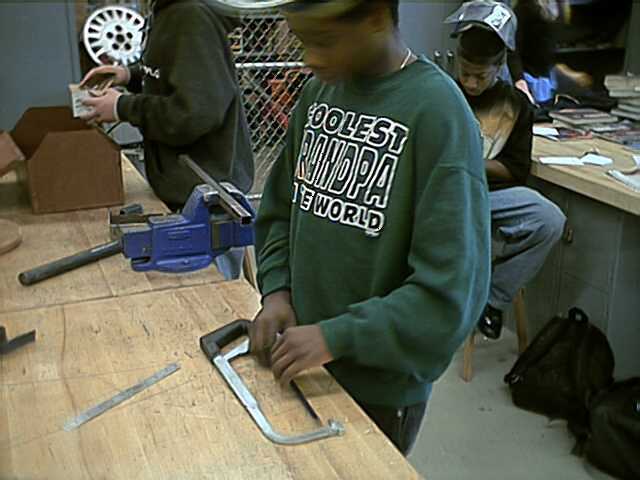 In 1999 the club moved to South Vocational and Technical High School, when the teacher who started the program was reassigned there. In the fall of 2000 the club was moved to Carrick High School, also in Pittsburgh. The Carrick High School Go-kart Building and Racing Club is open to any Carrick High Student that wants to get involved. Most students who are in the club are enrolled in the Power & Energy class. 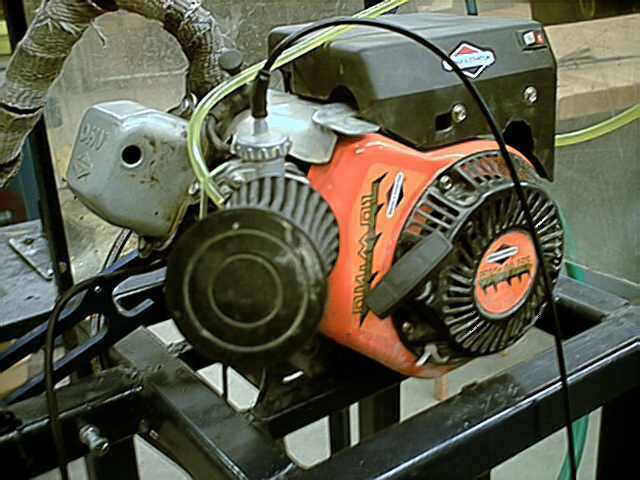 In the second year of that 2 year course of study, students are required to build some type of engine or motor powered machine, from scratch. 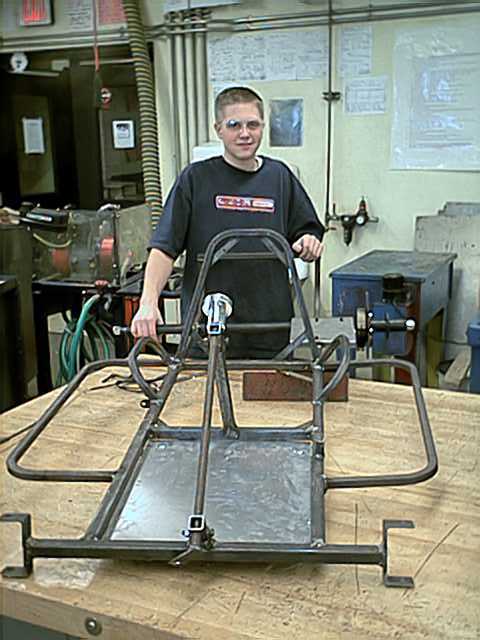 Many students opt for the go-kart project. 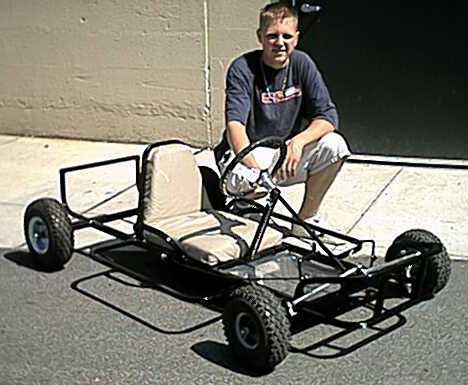 Students, who for one reason or another, are not enrolled in the Power & Energy class, can also build a kart during after school sessions, once per week. Doing it that way usually takes students at least two school years. 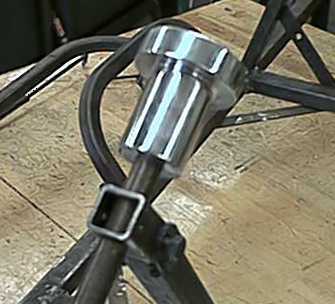 Materials, such as steel tubing, and welding supplies, are provided through the Power & Energy program annual budget. The club is always seeking sponsors to help defray those costs. 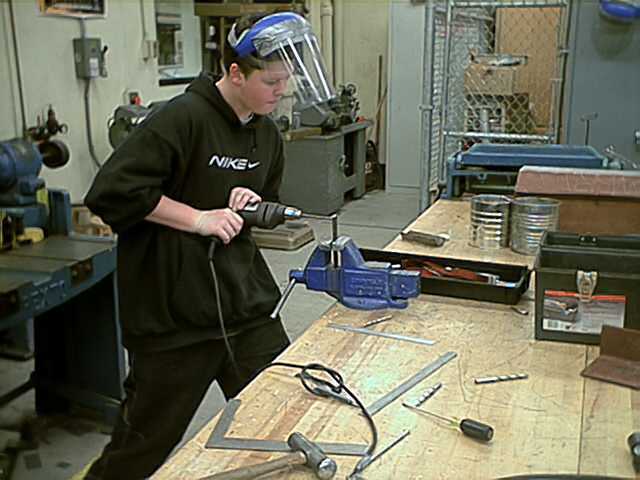 Students are required to manufacture and/or obtain many of the parts and materials on their own. 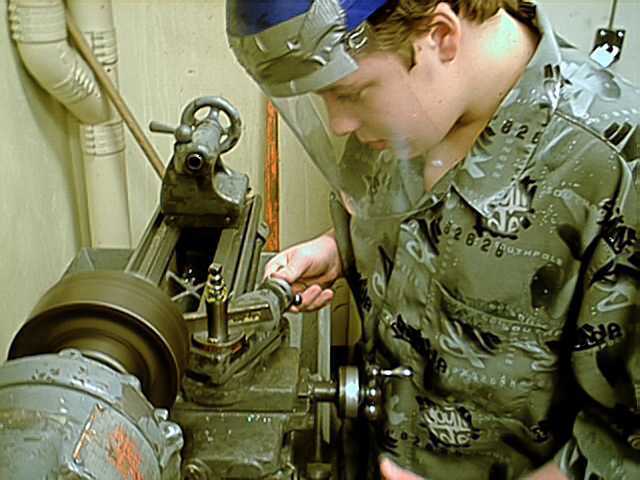 Through building the kart, students develop skill in measuring, cutting, welding, grinding, drilling, lathe operations, use of hand tools, and a whole lot more. 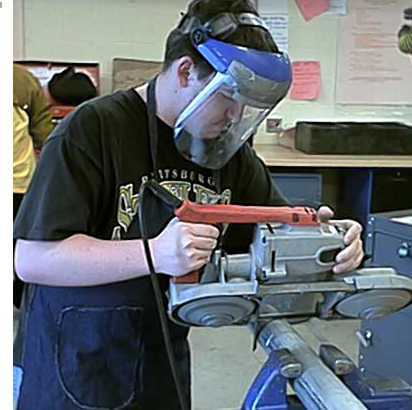 In addition to those obvious skills, students also develop the ability to start and follow through with a long-term project. Organization, and efficient management of time are essential skills that need to be developed by students if they are to successfully complete the project. 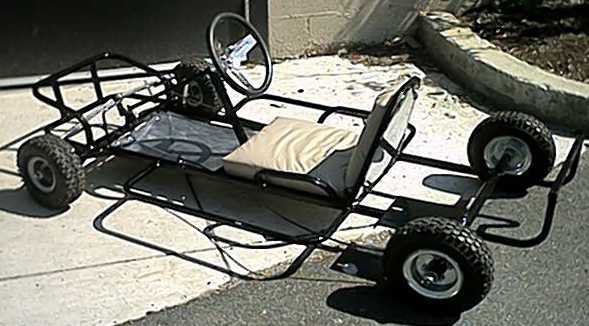 Building a kart is a significant accomplishment, especially for teenagers. In essence, they are building a small automobile. When they get their first ride on their own creation, they know what self esteem really is. They earned it, but for the kids that enter their karts in competition, the learning has just begun. At the first race event most students are just happy if their kart finishes the race. After that hurdle is accomplished, finishing first becomes the goal. 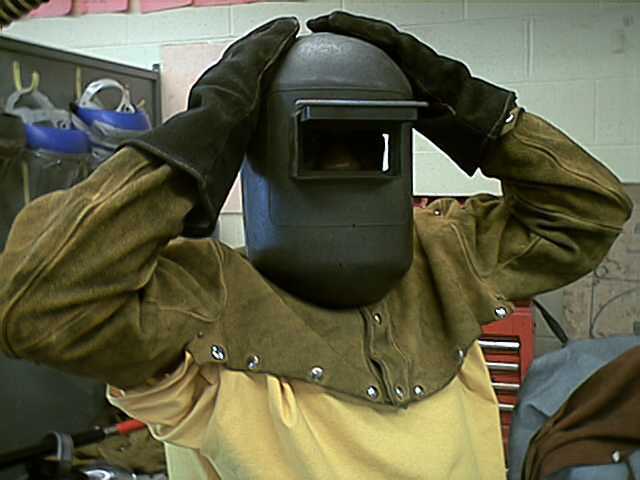 In order for that goal to be accomplished, the students begin to realize that technical details are important. Technical details involve also things like math and science. At that point they start asking questions, lots of them. Many of these questions relate directly to what they should be learning in math, science and technical education classes. Karting is indeed a most valuable teaching tool. In order for the students to compete in the kart races, their parents and/or legal guardians must be involved. The teacher/leader does have a lot to do with preparing the kids for the initial race outings, but it is the parents who transport them there and act as their pit crew and fan club. Waivers must be signed at sign-in, and only parents and guardians can do that. The kids are also responsible for paying their own entry fees. This mandatory parent involvement sets the karting program apart from other high school related programs. That is as it should be since karting is a family oriented sport. 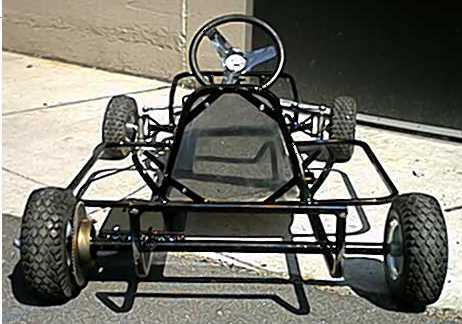 In 1992 the kart club received an award from KDKA-TV, The University of Pittsburgh, Giant Eagle, Bell of PA Yellow Pages and Duquesne Light for it's effective use of partnerships between the classroom and the race tracks and motor sports media. The pictures below illustrate the work and accomplishments of the members of the Carrick Kart Club.